Sistema Anit&Char SAA parts needed. Trying to get a very old Spanish Sistema Anit&Char SAA clone up and running. Need a hammer, hand, and bolt. Was wondering if anyone has experience with what the best choices in parts would be. I think I need to stick with 1st Gen Colt parts but not 100% sure. I think anything is going to be a crapshoot. 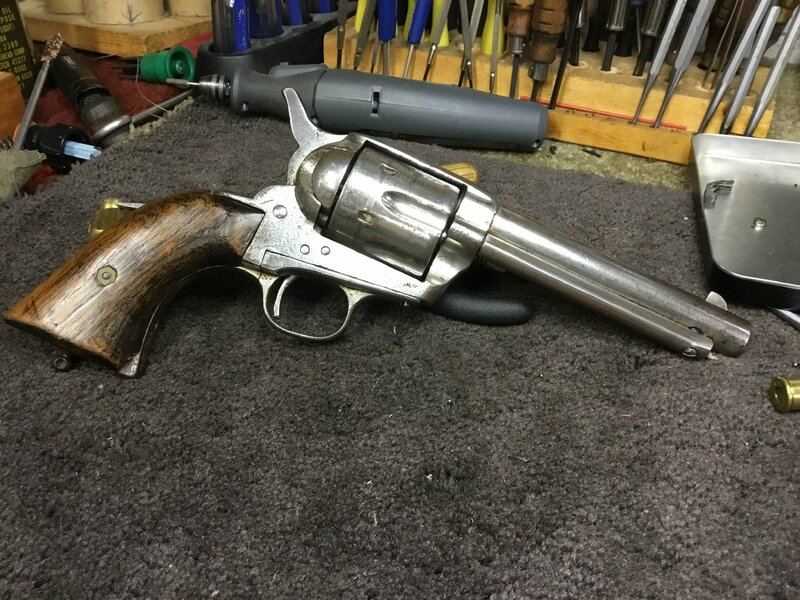 I doubt that there was much fidelity of fitment between these and a Colt. I further doubt the value of the finished restoration, probably less than $1000. 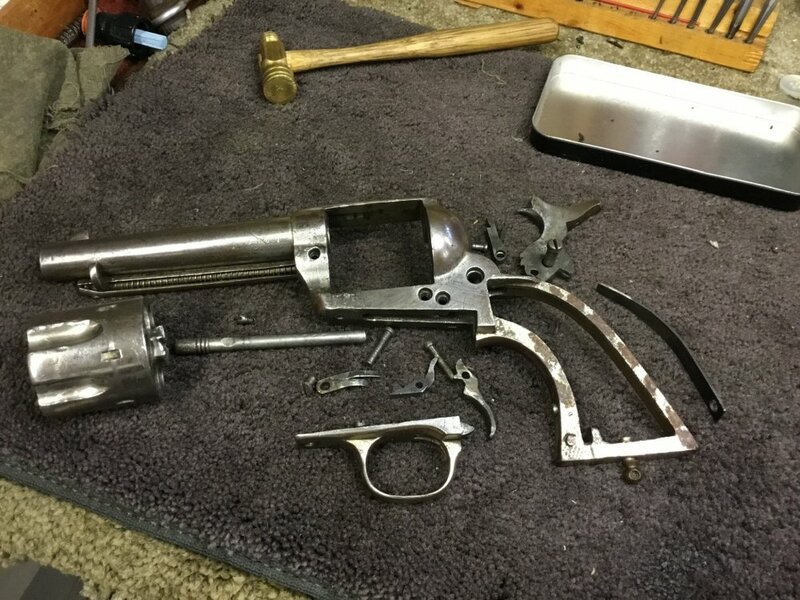 Taking into account that the parts will have to be modified to fit, and Colt 1st gen parts are dear and never cheap, I would go with Pietta parts or old ASM parts. Are the parts missing or just damaged? The reason I ask, Jerry Kuhnhausen Colt single action Revolvers book has a gazillion drawings of parts for Colt, Uberti, Pietta and Armi San Marco. If you had the old parts, you could maybe be able to figure out what may work. Since Mine had a hammer, I didn’t try a Colt hammer. If you can get the Colt hammer to fit, the legs of the Colt bolt would probably be fitable to the cam. After breaking the functioning leg of the bolt, I got mine to work by ending the opposite leg over to engage the cam. Not a proper fix, but it works and I’ve shot it. I also had to shim up in front of the cylinder to get the headspace within tolerance and cut a forcing cone into the barrel to stop lead shaving. To get it right though, I’d have to set the barrel back a turn. Maybe some day. Keep is posted on your progress. I posted a couple pictures of my gun. Sam, that actually helps a lot and makes me feel less like a crazy person. Thank you. It’s interesting to try to get some of these “orphans” working again. Especially when you’re trying to make a part and you don’t even know what it looks like. If I can help, let me know.